Our doors will be closing over the Christmas period as we need a festive holiday too! We will be closed from the 22nd December-7th January 2019. 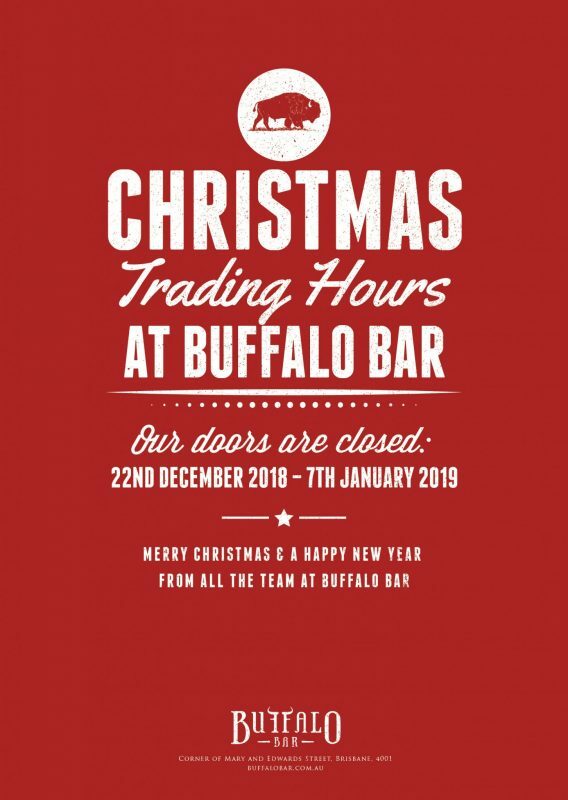 From all of the team at Buffalo Bar, have a very Merry Christmas & a Happy New Year! We shall see you on Tuesday 8th January 2019!